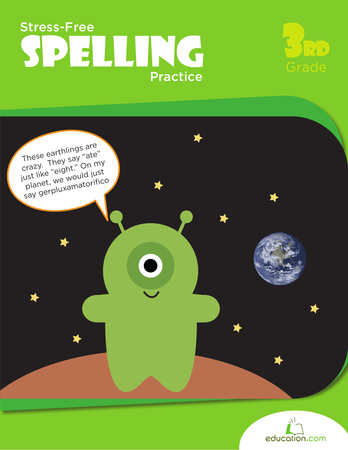 This workbook is packed with challenging year four spelling words that your child can practise writing and applying to his or her vocabulary. 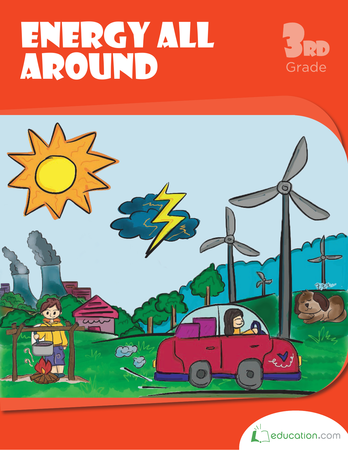 Learn the lay of the land with a comprehensive breakdown of Earth's landforms. 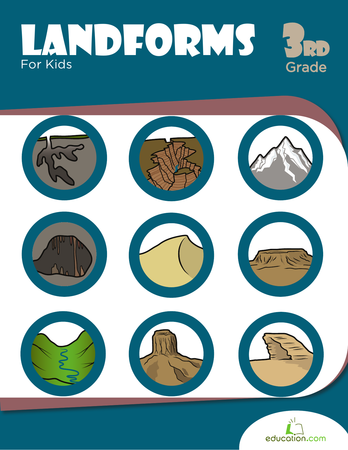 From buttes to fjords, kids will learn all the terminology and science behind the amazing structures of our planet. 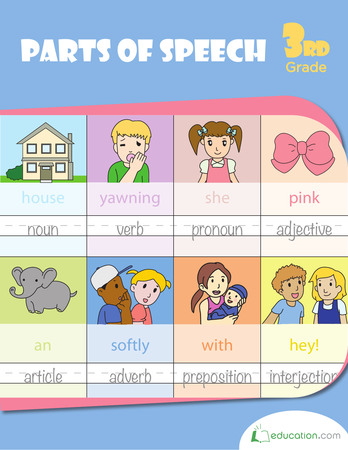 Help your child practise punctuation and capitalization in this workbook. 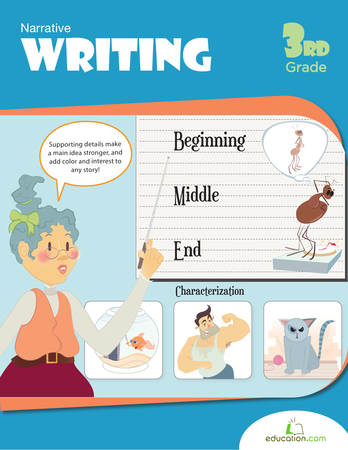 There are several creative ways to review writing offered here which explore the mechanics of writing in different situations. 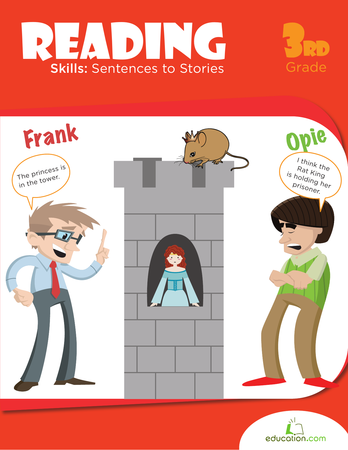 Everything a kid needs to read and write a biography. 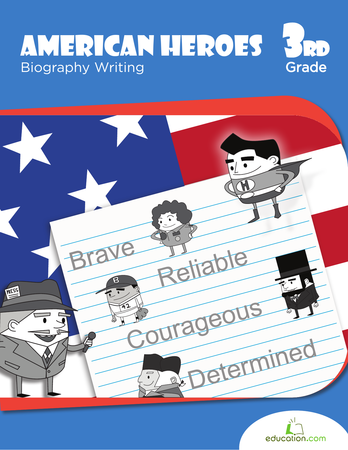 Learn about some inspirational Americans, try your hand at writing someone else's story, and consider what makes heroes so compelling. 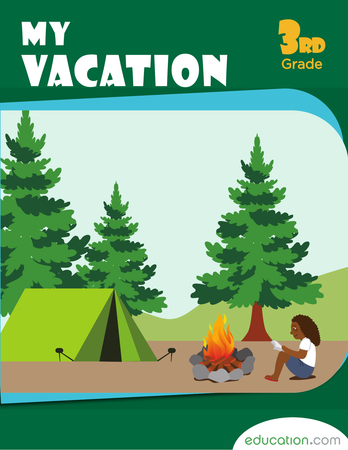 In this three-part series, a child anticipates a family getaway. 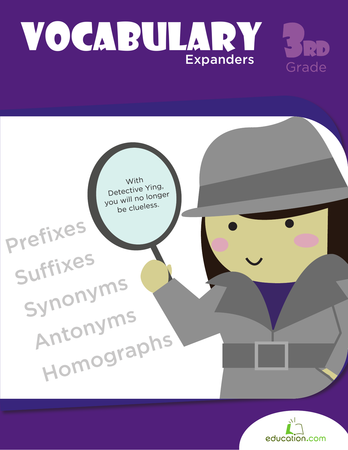 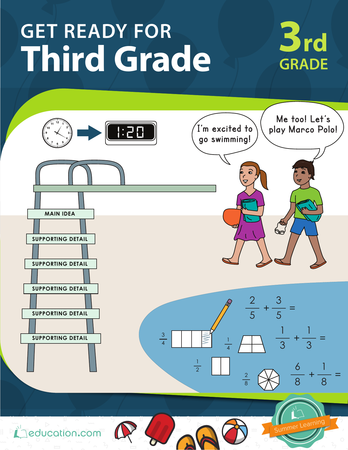 practise summarizing works of fiction, identifying chronology, interpreting pictures, and identifying homophones and homographs through this series of reading and comprehension activities. 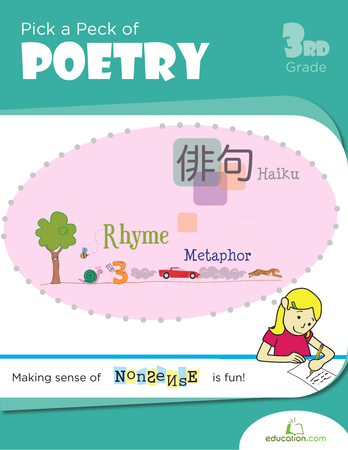 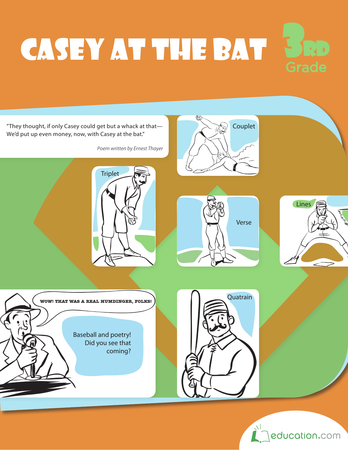 Practise reading, writing, and understanding poetry with the help of the Mudville Nine by exploring the classic poem, "Casey at the Bat." 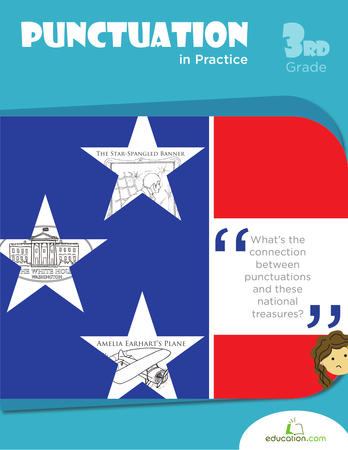 Ladies and gentlemen, boys and girls, step right up to the show! 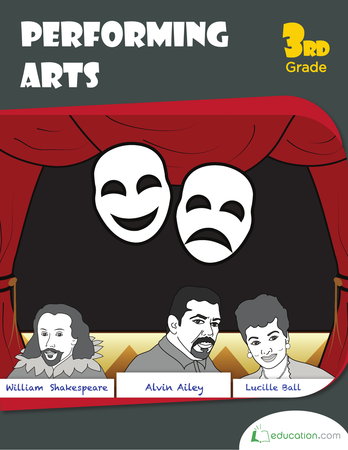 This book offers tons of reading and activities on the performing arts; from traditional theatre, to comedy, to clowning!